Play the entire global scope of a world war in a single sitting? Sure! 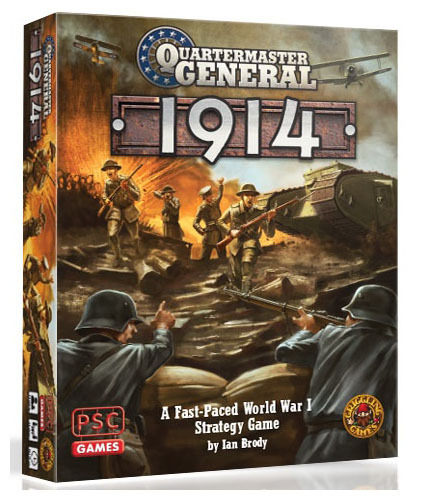 With the original QMG, the Second World War came to life on your table. Now you get a chance to do the same thing for the First World War, albeit only in Europe. You get to build armies, fight sea battles, and cut into your enemies with a war of attrition. 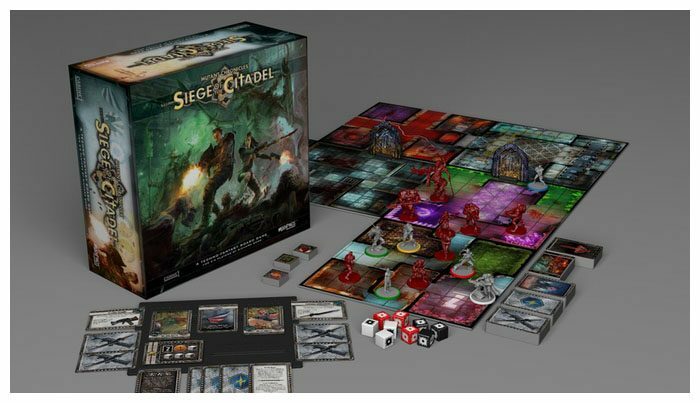 Colorful card-driven play and minis-on-the-map visuals will get non-grogs to the table and keep them there with solid gameplay. Mobilize your forces to march on their campaign page and get that pledge in before the leaves fall! A solo-friendly battle set in the Mutant Chronicles universe? Yes please! Geomorphic maps, clip-on bases, custom dice, and over 150 cards keep you busy, and the stretch goals include plenty more minis, extra maps, and cards to add to the game decks. 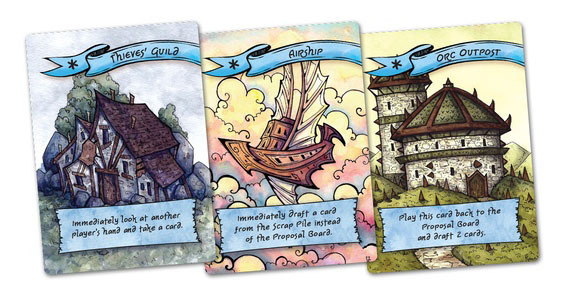 There are several expansions that are also included in various levels of the stretch goals, as well. Zip over to the campaign page if you want to check out the eye-candy for yourself as your wallet crawls toward the computer to place its own pledge. Yep, it’s another city-builder! It’s heavily fantasy-focused with a shared scoreboard, and gameplay is built around some basic shared-hand management and card-matching. You can download and entire print-and-play version of the game for free to check it out. 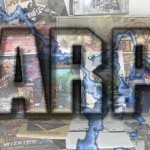 It’s a quick-and-easy game-night special for folks that are looking for a game that lets them mix-and-match some great art and play 5 times in one night. Meander over to their campaign page and see what you think.